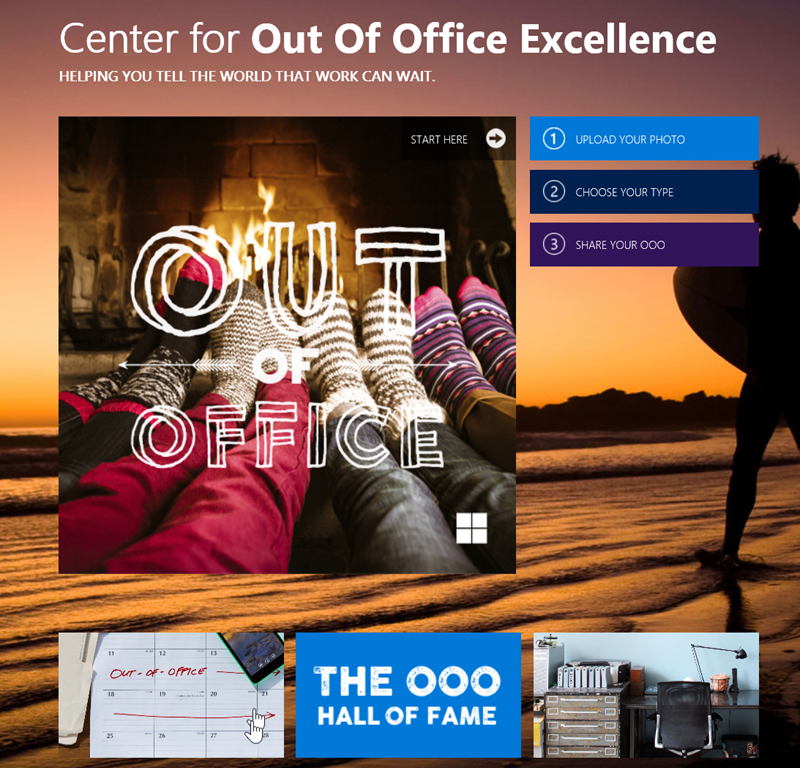 Microsoft recently launched the Center of Out of Office Excellence. What is the COOOE? It’s a site designed to help you create your own OOO (out-of-office) memes just in time for the holidays. Upload an image, choose a design type and revel in the joy of OOO. The “Center” is also a recognition that achieving more sometimes means doing less, with tools like Automatic Replies in Outlook to help you unplug, recharge, connect with loved ones and enjoy the holidays. Gould’s essay was a follow-up to her piece in The New York Times on the “art of the out-of-office reply,” in which she examined OOOs funny to self-important in a look at the whole auto-reply phenomenon. Incidentally, Doug Thomas from the Office team created this video to help folks understand how to use their Out of Office message to “work for you” while you’re away.